Fighting with insurance companies can be a real challenge, and they have a number of tactics to avoid paying out whenever possible. There e are a few things you can do to increase your odds of receiving the payment you deserve. Here are six things to consider. If you’re dealing with a health insurance claim, enlist the help of the hospital or your doctor. Medical professionals have a significant amount of experience in dealing with insurance companies, and they know how to handle difficult cases. Many times, a simple phone call might be enough to get the payout you deserve. Time is money, and showing that you aren’t going to give up can increase the likelihood of receiving a positive outcome. Let the company know that you’re going to be persistent and will occupy a considerable amount of their time if they do not hold up their end of the contract. Many insurance customers threaten to get a lawyer, but few follow through on the threat. Don’t be afraid to call a personal injury lawyer in McAlester. By hiring a lawyer, you can demonstrate how serious you are, and many insurance companies would rather pay out instead of going to court. Sometimes, simply resubmitting your claim might be enough. In some cases, rephrasing the claim can have a positive impact. If you’re dealing with a health insurance company, ask your doctor if he or she has another way to phrase your claim or can add another code to the insurance bill so it will be covered. 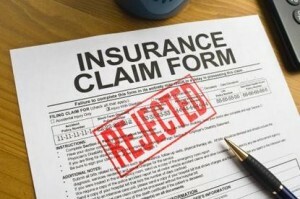 Small errors can cause insurance agencies to deny claims, and they might not always be forthcoming about this fact. Check over your paperwork again. Are there any mistakes? Correcting them and resubmitting the claim will increase your odds of succeeding. Negative press is terrible for insurance companies, so consider contacting your local newspaper if your denial is egregious. If your article is printed, there is a good chance that your insurance company will pay out to avoid further negative press. In some cases, simply threatening to go to your local paper may be enough. Insurance is essential for protecting your financial health, but insurance companies can be difficult to deal with. Don’t give up. Even though the road to payout may be long, insurance companies change their minds on a regular basis, and being persistent can pay off. Kara Masterson is a freelance writer from West Jordan, Utah. She graduated from the University of Utah and enjoys writing about home and finance and spending time with her dog, Max. I always read your informative blog post. I like your blog. I have some information about a real estate project The Baya Goldspot, Andheri East, Mumbai. Get Details like Prices, reviews, Floor Plans, Specifications on Favista.com.